The archives and special collections library communities – as part of the global community – face prospective major shifts in our energy systems, economic models, and literal landscapes. Current and predicted impacts associated with climate change offer highly varied and unpredictable effects on our collections, collecting, facilities, services, funding, users, communities, and professional lives. This conference invites attendees and the broader archives and special collections communities to a candid and forward-looking conversation about our work in the era of climate change. We seek proposals for sessions that will connect these issues across our proven professional capacities for committed cultivation of inclusivity, technical excellence, strong collaboration, cultural and historical scholarship, educational expertise, and resource stewardship. We encourage session proposals that explore new prospects of value and alternative lenses of assessment that center on the present and future flourishing of the humanistic efforts we serve. What are the stakes of climate change for our communities? Why should we care…and how should we care? Our first plenary invites attendees into a conversation with perspectives on climate change science, policy, and implications for libraries, archives, and cultural heritage work. Pursuing the evidence of climate change, and human communities’ relationships to this phenomenon, requires research within and outside archives and libraries. Our second plenary explores climate change narratives built on “documents” beyond our ordinary collecting contexts, as well as how the types of evidence available for these histories affect notions of causality, accountability, uncertainty, and hope. In Parable of the Sower, a 1993 dystopian science fiction novel set in the wake of major climate change, Octavia E. Butler writes, “There is no end | To what a living world | Will demand of you.” Our collections, institutions, and communities have arisen from colonial and extractive industrial contexts – the same conditions and systems driving anthropogenic climate change. Our closing plenary examines how climate change relates to these systems’ legacies of harm, and how history, memory work, and speculative imagining illuminate possibilities for challenging these systems in order to build more sustainable and equitable living worlds. The Rare Books and Manuscripts Section of ACRL/ALA is committed to equity, diversity, and inclusion in its membership, in rare books and special collections librarianship, and among users of rare books, manuscripts, and special collections. RBMS encourages participation in the section by people of any race, color, national origin, religion, gender, sexual orientation, age, and physical ability; it supports its members in serving the broadest possible population; and it seeks to represent the concerns and interests of rare books and special collections librarians at a variety of institutions, including academic libraries, public libraries, research libraries, special libraries, and historical societies. 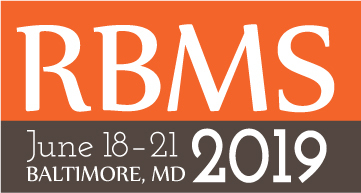 Some of the specific ways by which RBMS encourages equity, diversity, and inclusion include: offering a scholarship program for first-time attendees at its annual conference; pairing new members with more experienced members of the section at conferences; and conducting surveys of its members and non-members, the results of which inform the section’s membership initiatives and program planning. RBMS fully supports equity, diversity, and inclusion, which is are identified as Core Organization Values in the ACRL Plan for Excellence 2017, and the ALA Strategic Plan 2017. For more information about the RBMS commitment to equity, diversity, and inclusion, please visit the RBMS Website (http://rbms.info).